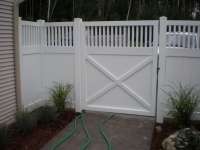 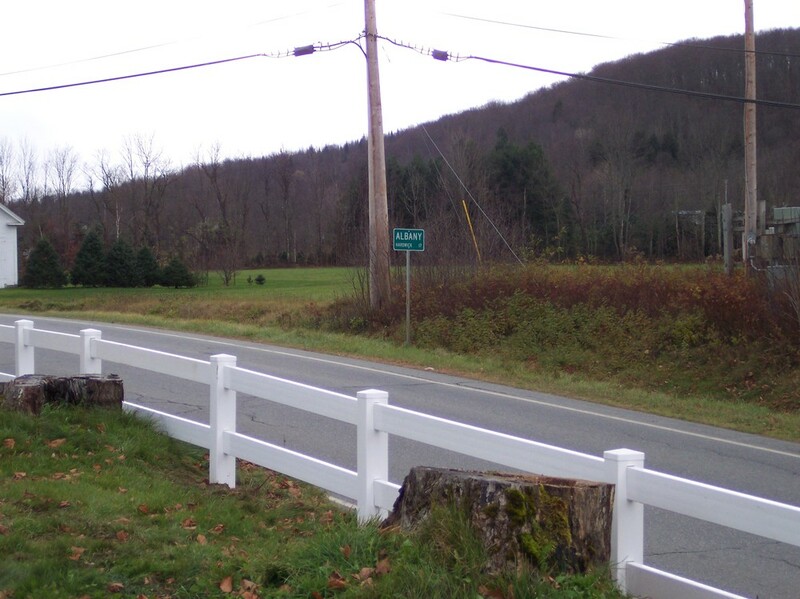 Harsh New England winters can take a toll on traditional wood fences, and keeping them up can get to be a hassle. 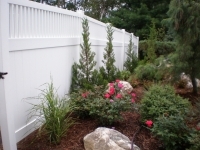 “Woodtone” is a resin with the look and feel of wood, which never needs painting and is guaranteed for life. 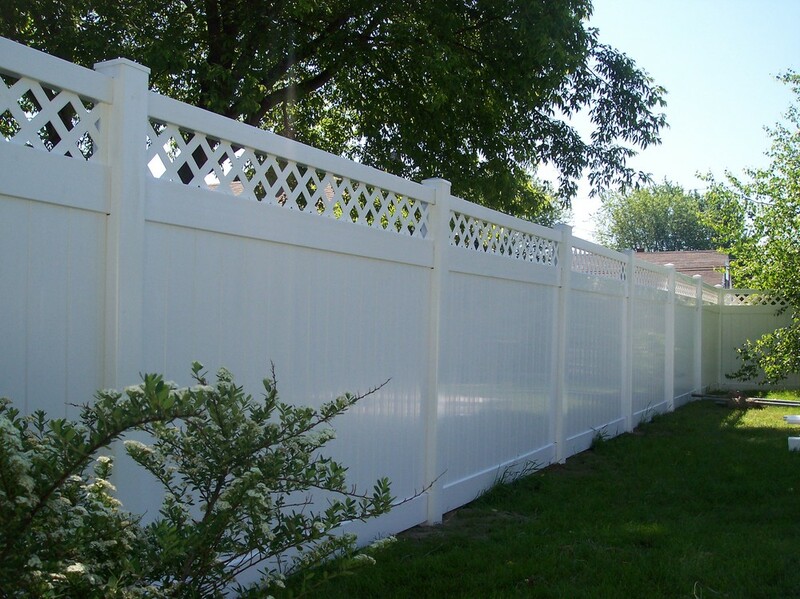 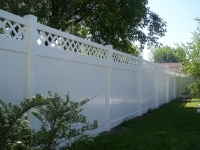 If you are looking for something that is virtually maintenance-free and will have that “just like new” look for years to come, it’s worth taking a look at Vinyl Fencing (also known as PVC). 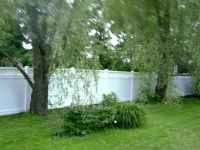 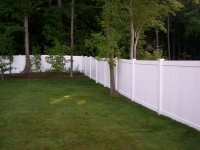 Here is a gallery of vinyl fences we’ve installed. 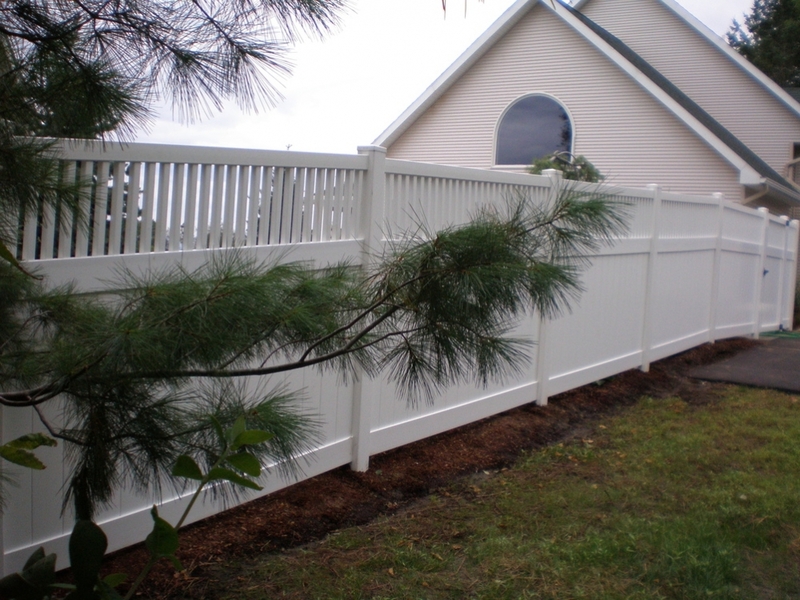 "Woodtone" resin looks & feels like wood, never needs painting and is guaranteed for life. Vinyl privacy with New England Style Caps. 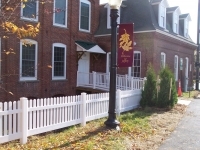 A vinyl picket fence highlights the restoration of this historic building. 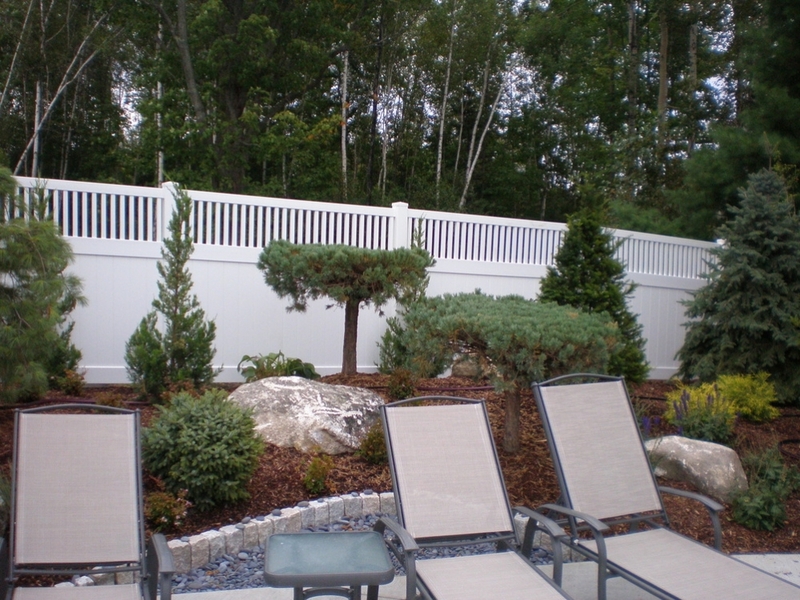 Solid vinyl panels keep this backyard very private. 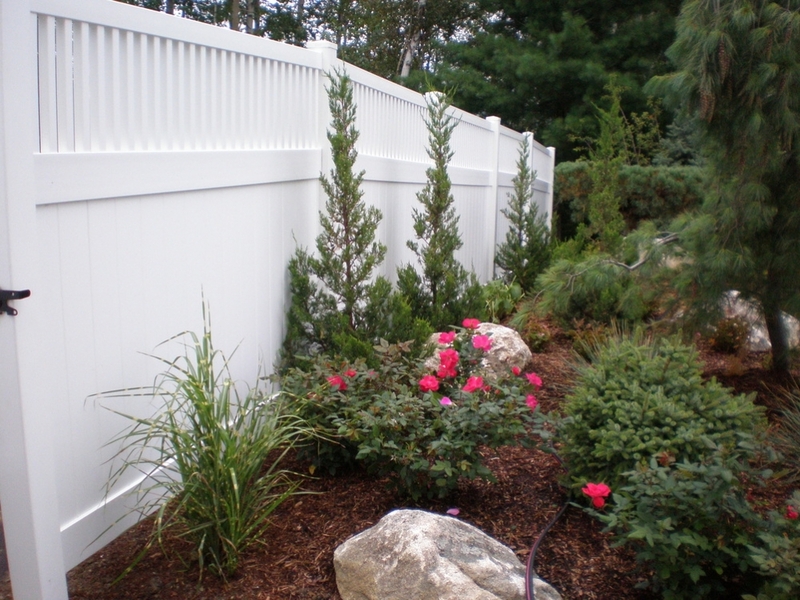 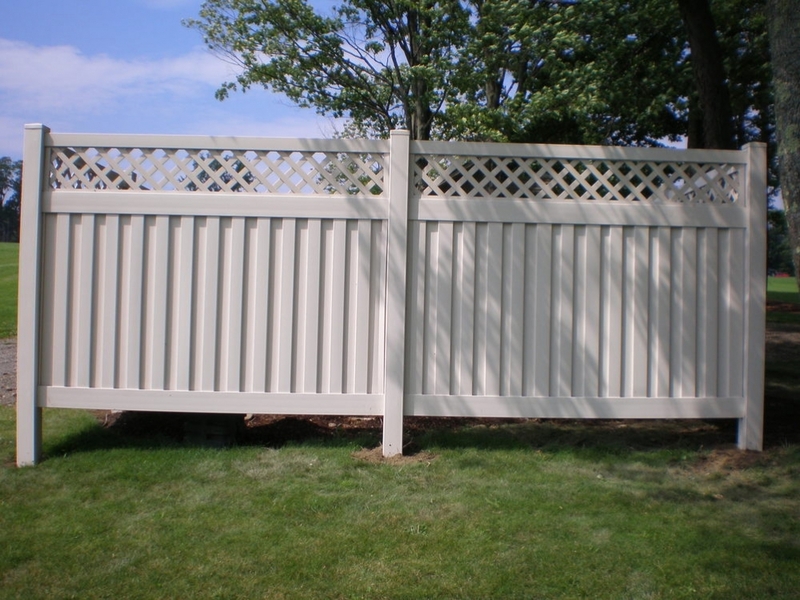 Vinyl privacy fencing with a decorative lattice top. 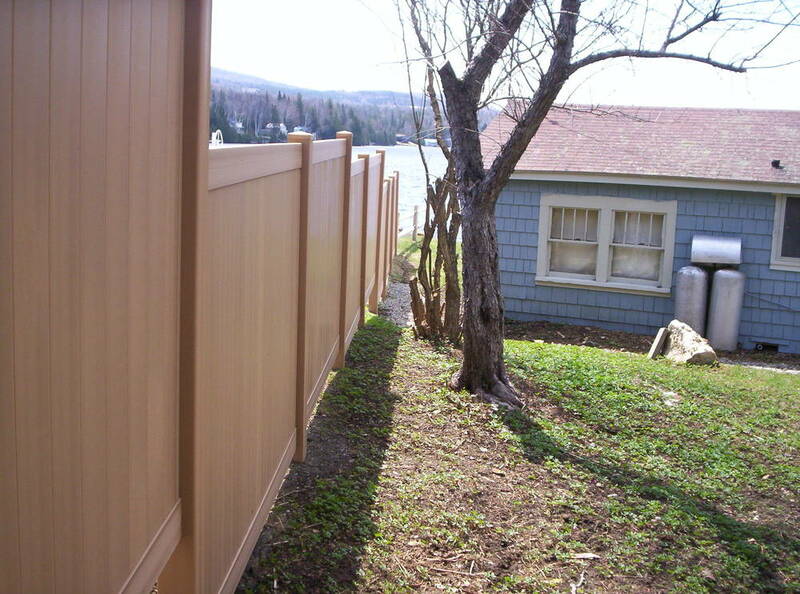 This vinyl "shadow board" fence provides partial privacy, letting some air and light pass through. 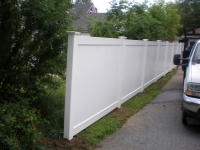 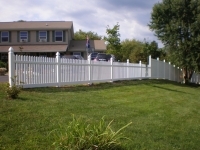 A vinyl fence with a spindle top. 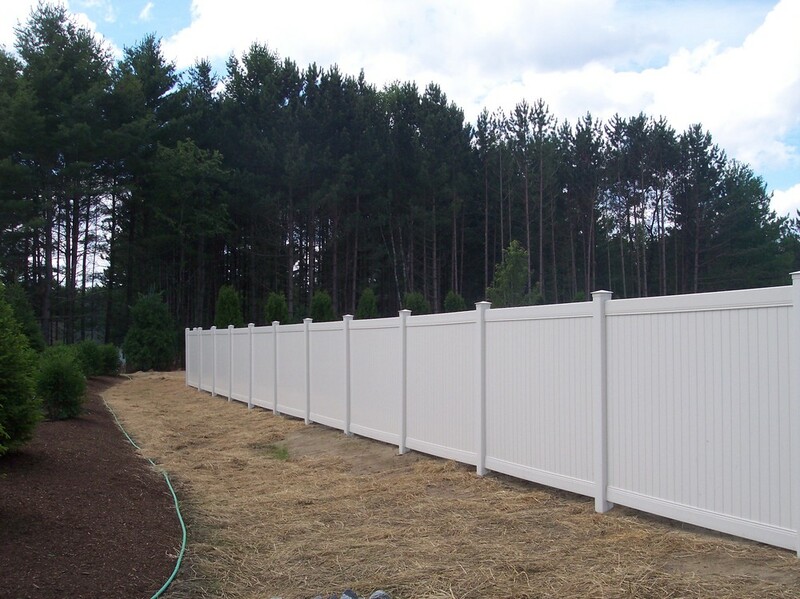 This new vinyl fence provides neighbors some privacy from a newly built office complex. This vinyl fence serves as a decorative accent to this front yard. 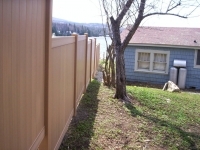 Vinyl privacy fence in tan. Semi-private fence with spindle top. 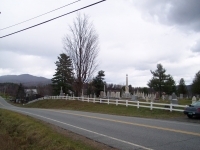 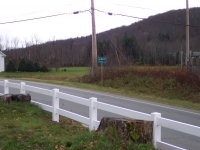 Vinyl ranch rail, at the cemetery on Route 14. Albany Cemetery, Ranch rail--another look. 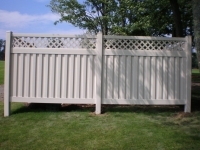 Privacy panels with lattice top, hides mechanical equipment. 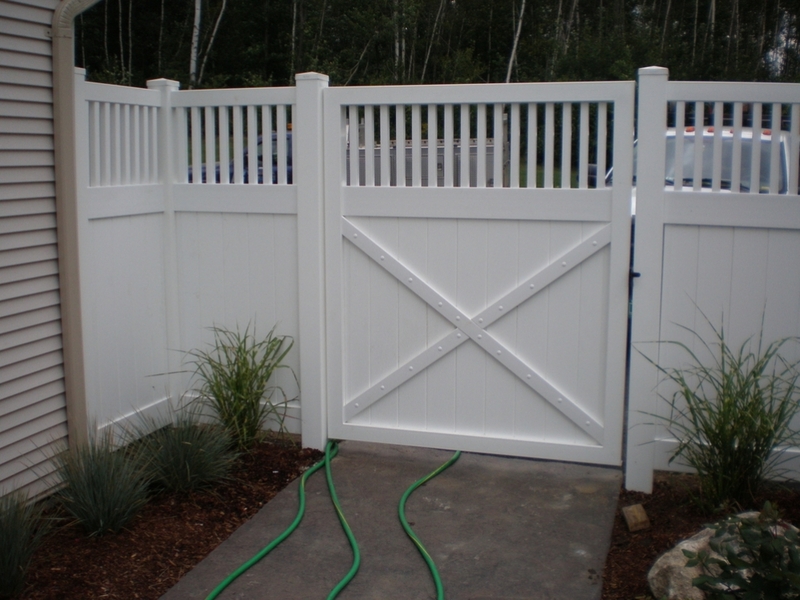 A double swing gate allows the homeowner to drive her riding mower into the back yard. Look closely. 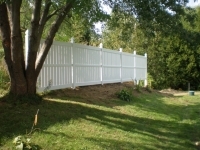 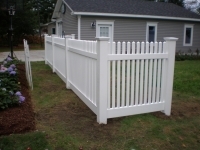 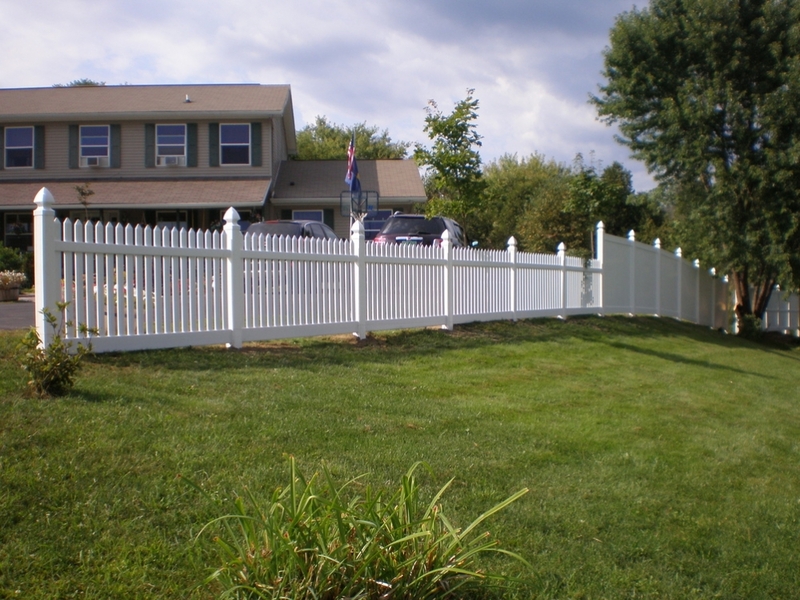 This fenceline incorporates a traditional picket in the front yard, with privacy fence in the back. 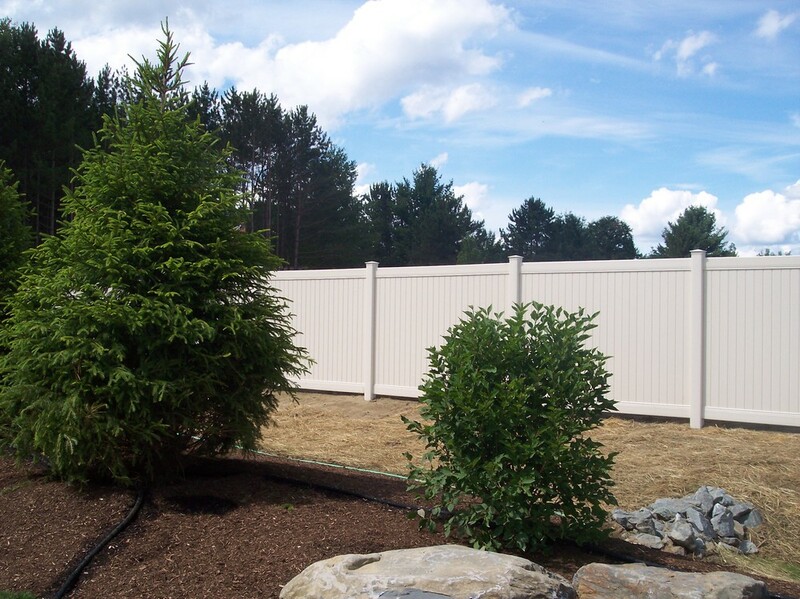 Vinyl privacy fencing with a spindle top provides a beautiful backdrop for this homeowners new landscaping. 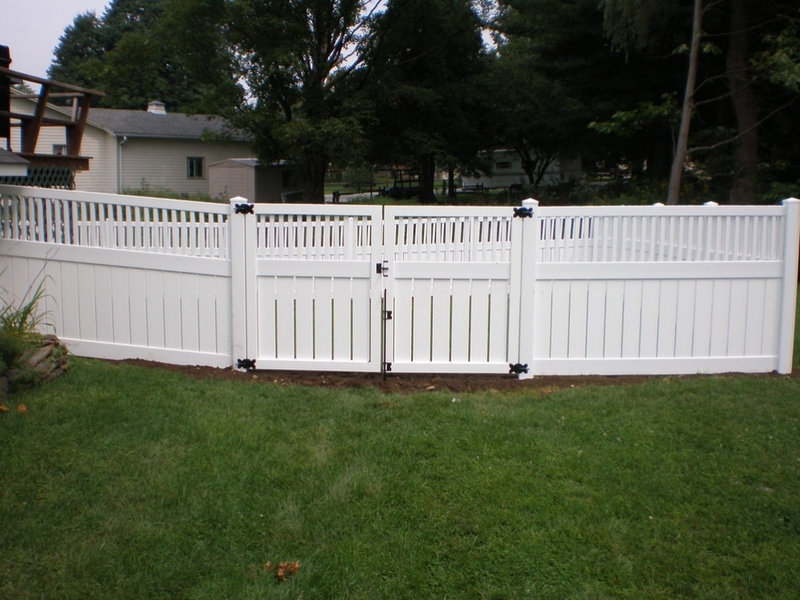 A vinyl gate with spindle top.